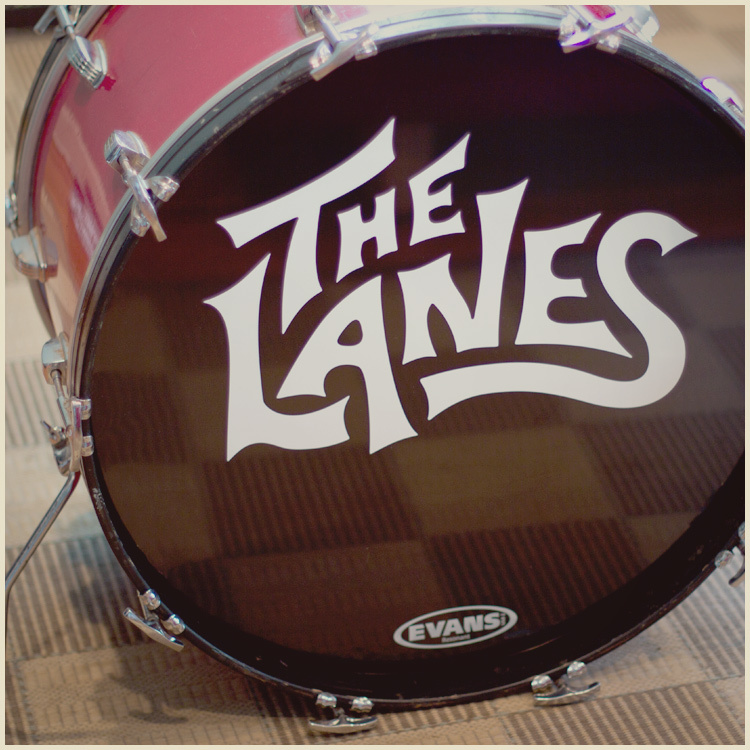 Here’s the new logo for The Lanes, an Athens, Georgia power pop band. It’s based on a loose sketch by the group’s front man Kevin Lane. The idea was to go after a late-sixties garage band look. Shown here is the new logo’s first usage. Cut vinyl on their bass drum accentuates that garage band feel. 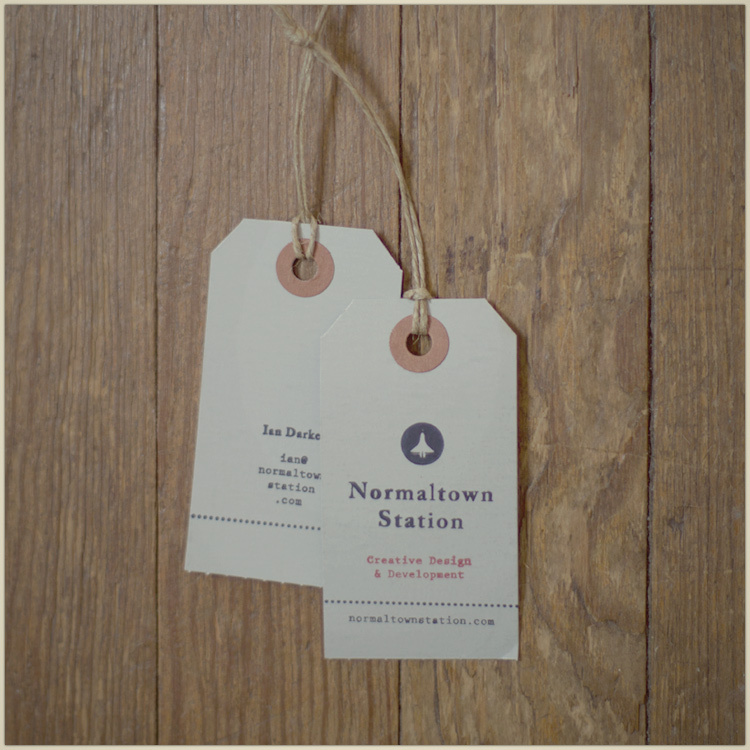 Here’s a more conventional business card design for Normaltown Station. 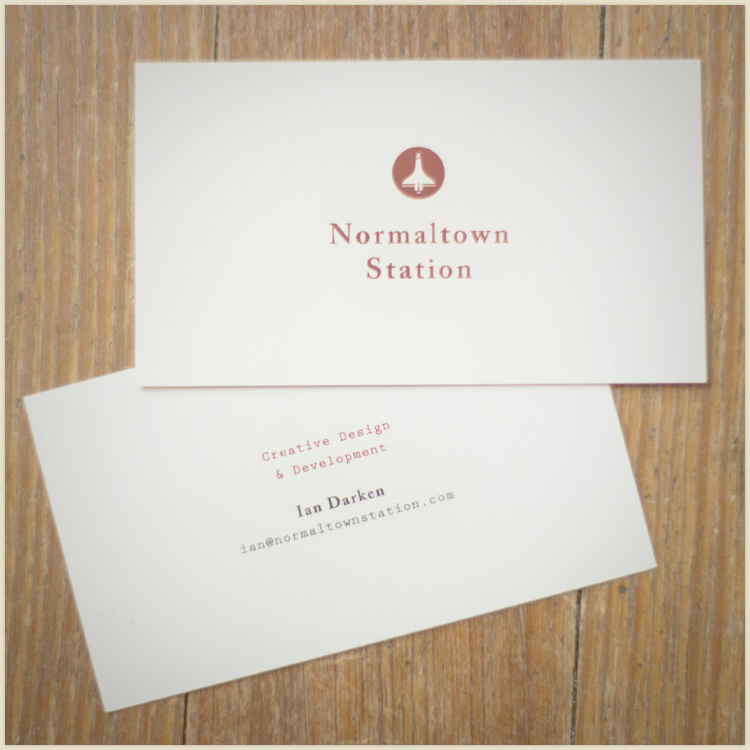 Off-white cardstock. 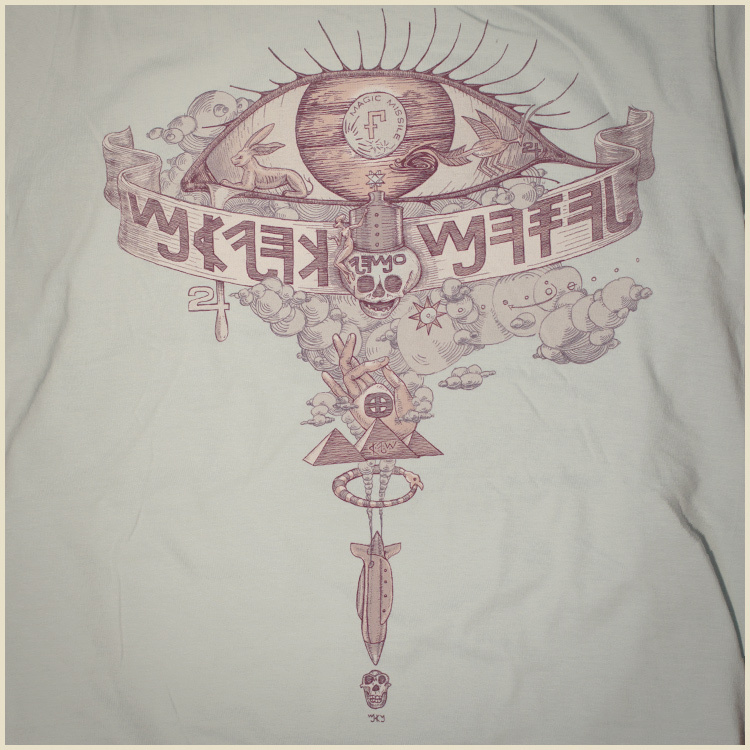 These new Magic Missile t-shirts feature an illustration developed to communicate the more mystical side of Magic Missile’s new sounds. I approached the concept of actually depicting the titular magic missile (inspired by conspiratorial claims of a missile-like ancient Egyptian hieroglyph). An entire sci-fi story behind the missile’s appearance in ancient Egypt was developed. 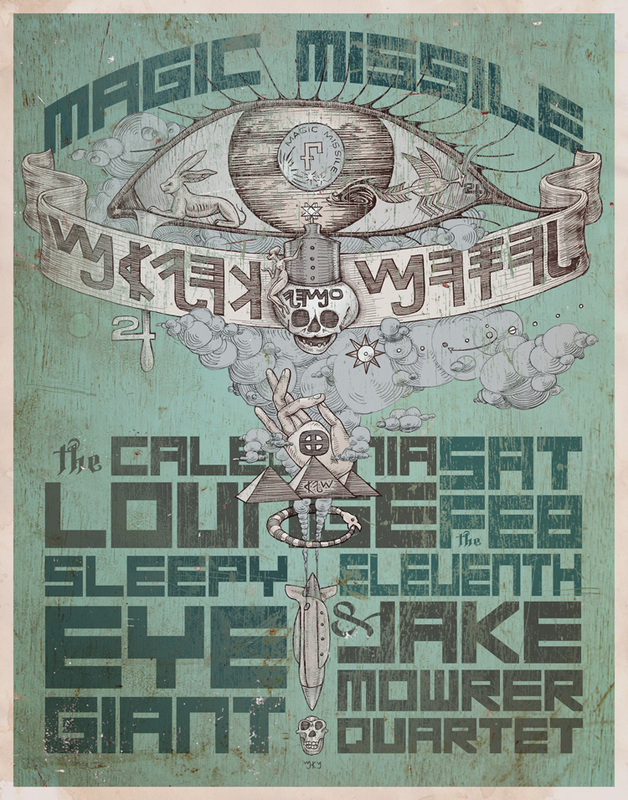 The Egyptian, Phoenician, Proto-Indo-European, Alchemical, Christian & modern imagery fuse together in an epic pictorial. 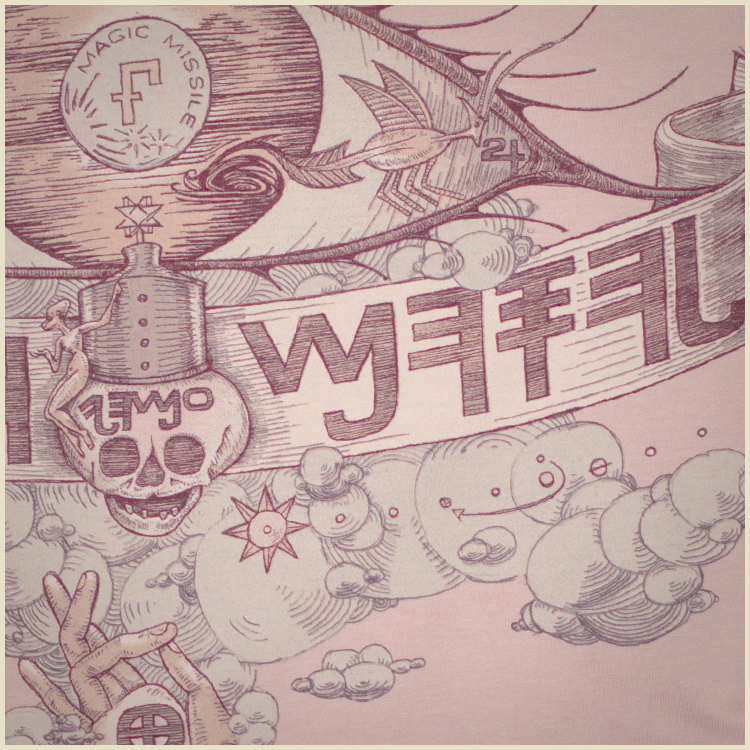 The illustration’s message is opaque and designed to be somewhere between intriguing and off-putting to the viewer. 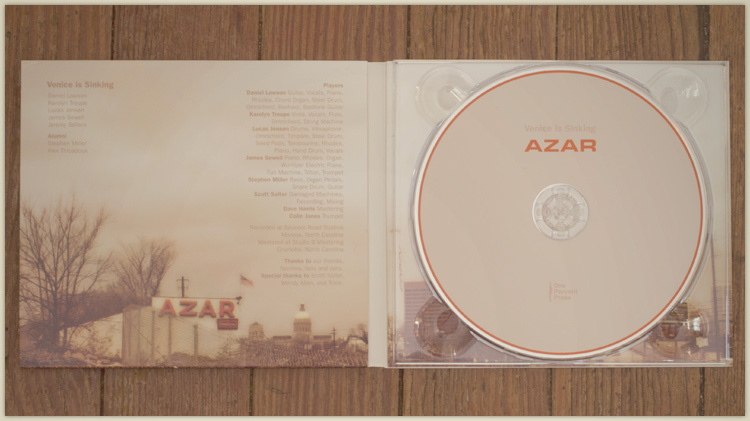 My favorite part was converting the Phoenician take on the band’s name to a Eurostile Extended inspired hybrid font. 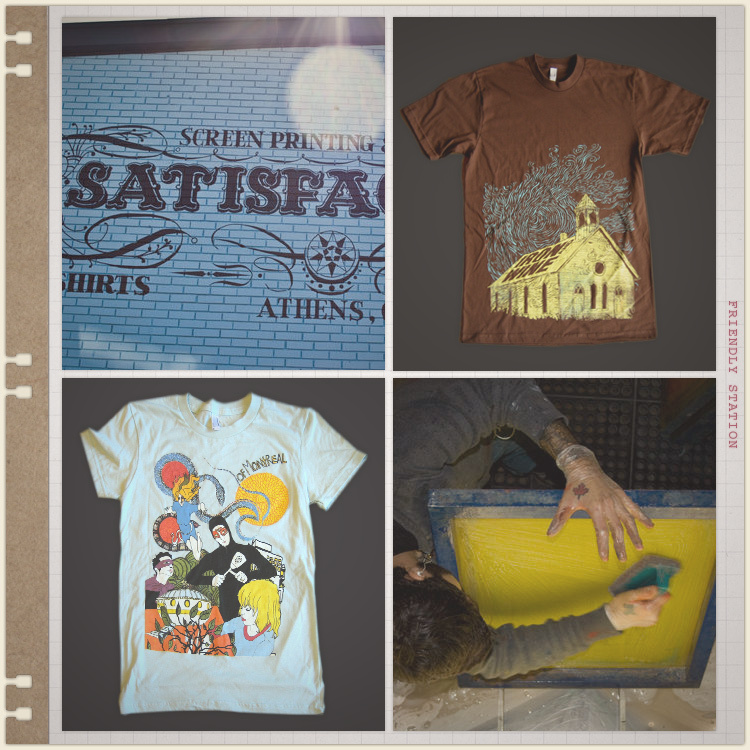 Below are some details of the design printed on a few more shirt colors. 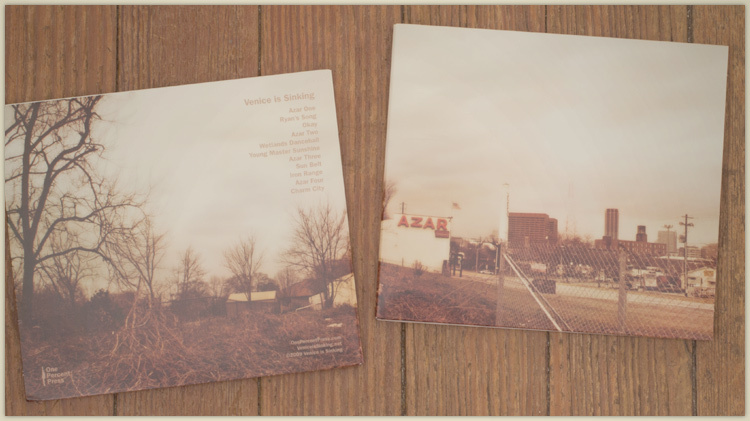 Here’s the design I put together for Venice is Sinking’s album AZAR. The featured photography, by Courtney Wolfgang, depicts a worn down Atlanta convenience store in it’s even more haggard surroundings. I’ve been working on a layered painting approach for the past ten years or so. 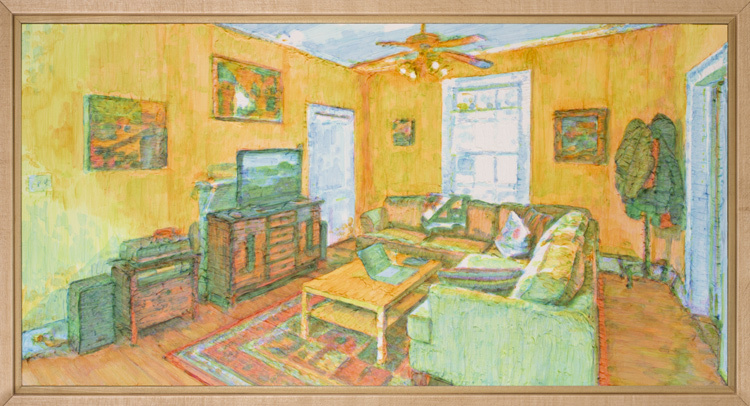 The idea is to create the needed colors and values in an image by filtering the light that reflects off the white painting surface. An artificial depth is created by thickening each of these layers with transparent mediums. We’ll just title this one “The Living Room”. More paintings will be posted soon. Please contact me if you are interested in a commissioned painting of your favorite person or place. Earlier this year, I started building a midi-controlled automatic drum player. It converts a channel of midi data to drumstick movements. Here is where I am so far. The final version will be able to control twelve drum components simultaneously. The central unit houses a custom programmed arduino-based microcontroller which processes the midi data, controling the powerflow from the 600W power source to the various solenoids. I just might hand one of these to you.